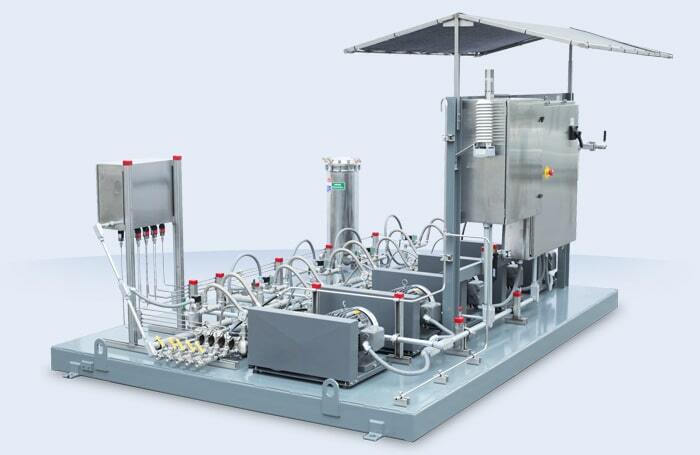 System Overview | Mee Industries, Inc.
Each MeeFog system is designed using a series of high pressure pumps to pressurize demineralized water, which flows through a network of the highest quality stainless steel tubes. 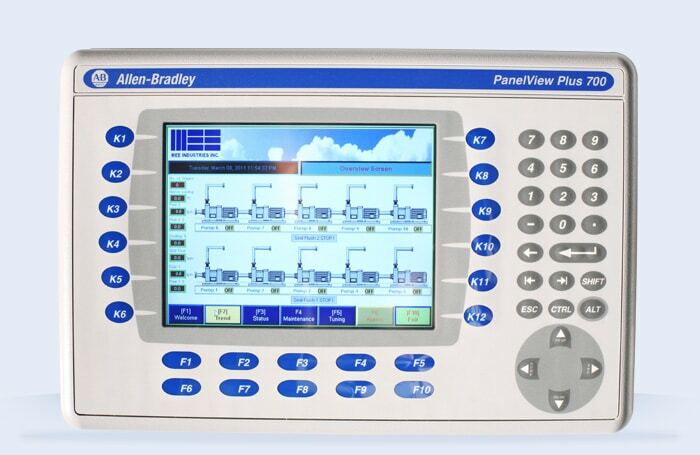 The water enters an array of proprietary Mee impaction-pin nozzles which feature a 150 micrometer diameter orifice to produce billions of ultra-fine droplets per second. At an operating pressure of 2000 psi, the resulting average droplet size is far below 10 microns, or one tenth the diameter of a single strand of human hair. 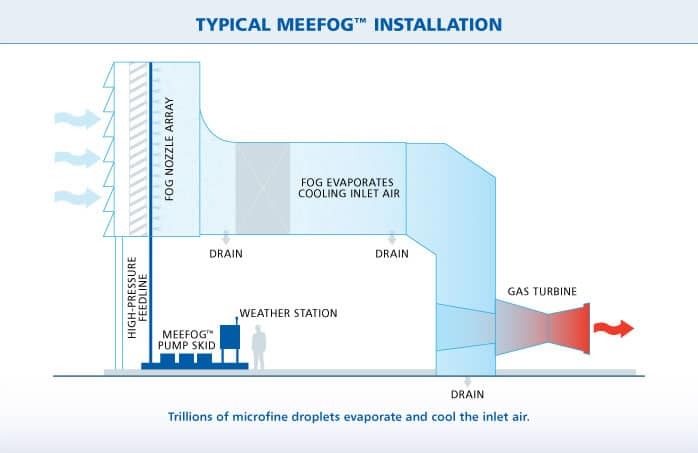 The resulting fog cools and evaporates more rapidly (as well as efficiently and economically) than any other fog method. 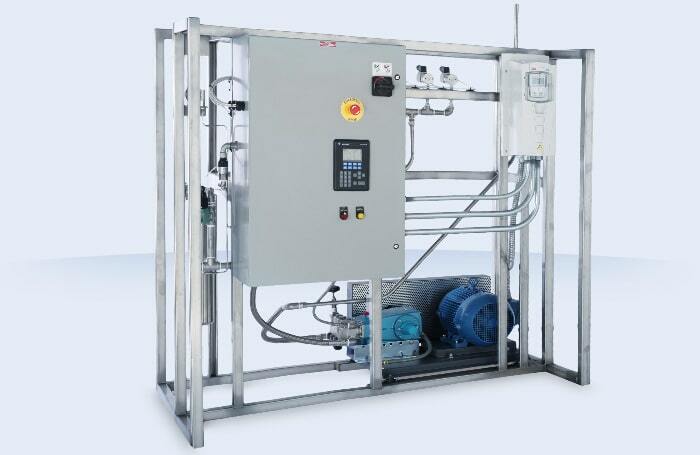 The MeeFog system uses high-pressure pumps to pressurize treated supply water to between 1000 and 2000 psi. The stainless steel, MeeFog nozzles then atomize the water into billions of ultra-fine fog droplets. 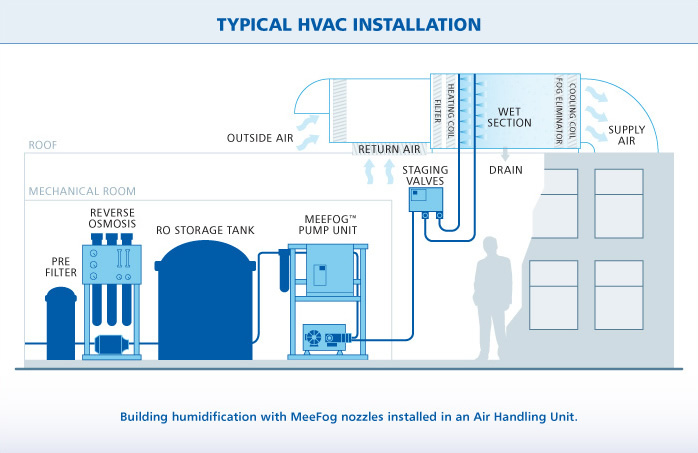 MeeFog systems do not require compressed air or heat. 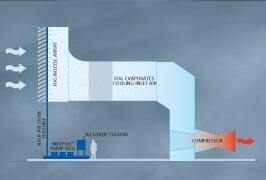 Direct pressure means there are few moving parts (none in the air handlers or the humidified space). The energy consumed is a small fraction of that required by other technologies, such as compressed air, ultra-sonic, or canister steam systems. Imagine the nicest, most ideal environment you can. Imagine the ability to enhance your current environment to achieve that dream… imagine MeeFog.